Mumbai is considered as one of the most modern and happening cities of India. The existing business of film and TV industry is responsible for making it even more stylish. Mumbai also caters great opportunities for budding bridal artists as well. Quite often or in fact way too often, Bollywood movies feature grand and opulent weddings, so it’s only natural Mumbaikers follow the movie trends and get married with great pomp and show. Just like the movies, Mumbai weddings are stylish and glamorous affairs which add ample amount of pressure on the bride to look her best on the big day. So once she has all the logistics worked out and her wedding trousseau is in place, it’s only obvious for her to seek out the best bridal makeup artist in mumbai. So here is the list of the top ten best bridal makeup artists for all who are planning to tie the knot in Mumbai this season. A renowned makeup artist in all high profile weddings, Zubair offers a complimentary consultation before the wedding to match your wedding trousseau to the look you want and to brainstorm what would be best for you. Zubair Shaikh also provides a trial makeup session to help you evaluate your final look for your big day. Nisha Desai has worked for various fashion events like MISS MUMBAI and is famous internationally for her makeup and hairstyle. With her flawless professional makeup, she has groomed various Bollywood and Tellywood models using only niche cosmetic brands. More than 5000 brides have got the golden opportunity to have got done their make over by Nisha Desai, not only in India but across the world. Currently she operates out of Andheri and Juhu. Meghna is one of the few artists who do both bridal makeup and hair styling work. She is also one of the most illustrious names in this list. Meghna has worked with prestigious magazines such as Elle, Femina, Filmfare and others. So if you are looking for an experienced and many years of bridal makeup expertise, Meghna is worth every penny. Namrata Soni is a celebrity makeup artist and has worked with Bollywood’s top notch celebs such as Deepika Padukone, Sonakshi Sinha, Asin and others and even has a Filmfare award to her credit which is good enough reason for her to be the high end and expensive bridal makeup artist in this list. Namrata uses the right products in the right places and that goes a long way in bringing out your natural beauty. Not related to Namrata Soni, Nisha Soni is a well known bridal makeup artist in Mumbai on the basis of merit alone. 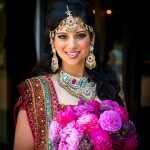 Specialized in traditional and international bridal makeup trends, Nisha deserves to be in this list. 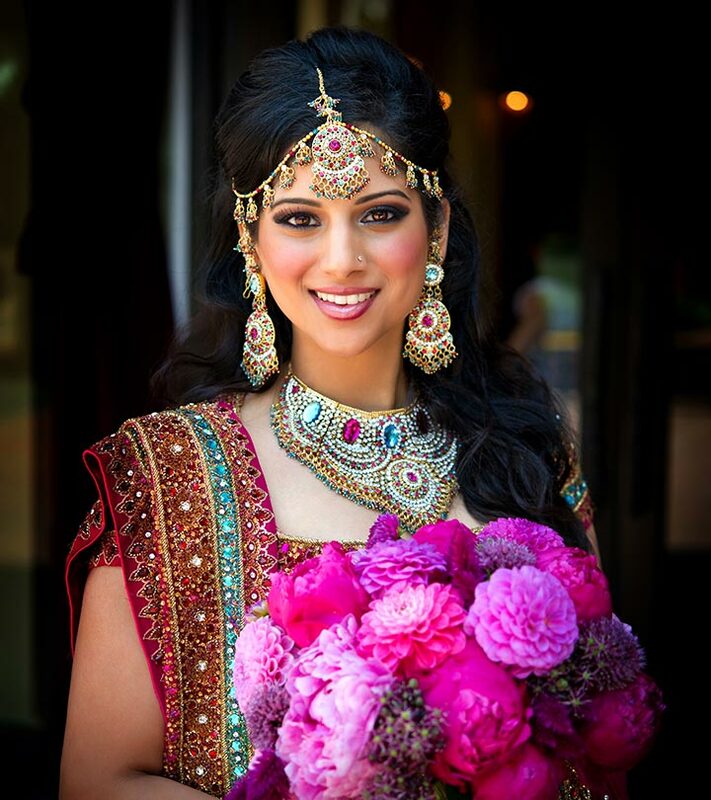 Dimple Bathija is a freelance professional bridal makeup artist with over 10 years of experience. She did her training in London. She has even worked with ace makeup artist, Cory Walia. She has also worked with a number of high-profile celebrities and models. She also did makeup for Femina Miss India 2013, Navneet Kaur Dhillon. She prefers using only MAC cosmetic products for her makeup assignments. She has travelled extensively to do several high profile bridal makeup assignments. Dimple offers bridal makeup for all ceremonies from mehndi to the final reception and also conducts pre bridal consultations sessions with the bride. Since mehndi is an integral part of the traditional Indian wedding, the first name comes to our thought is Mahesh and Priti, a traditional bridal mehndi artist duo, popular all over Mumbai. They are also equally known for bridal makeup. Kalpesh Joshi is a renowned freelance bridal makeup artist from Mumbai, with international exposure in countries such as U.K, China, Dubai, Mauritius and Thailand. Kalpesh also has extensive knowledge on international bridal makeup trends to help you look your best on your day. With 25 years of experience in the makeup industry, Bharat and Dorris are the stalwarts in this list. Starting from movies, commercials, beauty pageants and multiple high profile weddings, Bharat and Dorris have been there and done their best. Bound to be insanely expensive because of their celebrity stature, Bharat and Dorris are sure to be worth every rupee you spend. With many years of experience in the bridal makeup industry, Sheetal has worked with innumerable brides including Bengali, Punjabi, Catholic, Sindhi and Gujarati brides. 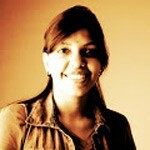 So if you are looking for someone with experience and versatility, Sheetal won’t disappoint you. So, all the people out there who want to use the services of any of these artists, please be free to splurge. Yes they are very expensive to afford, but you would definitely not want to miss the chance of looking your best on your special day. Do let us know which one of these precious makeup artist in mumbai you plan to use!